Change can be hard, even when it comes to Netflix logos. 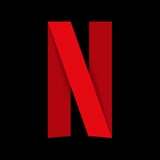 The streaming company unveiled a new logo animation that will appear before all Netflix originals beginning on Feb. 1, and it's pretty cool. The four-second-long bit rapidly zooms in on the famous red "N" and splits it into a bunch of thin, neon vertical lines in different colors. Netflix tweeted, "It shows the spectrum of stories, languages, fans, and creators that make Netflix beautiful - now on a velvety background to better set the mood." What didn't change at all, however, is the sound you've heard a million and one times before your show or movie starts. It's not really surprising that something so simple created quite a divided range of reactions. Some Netflix subscribers love the new design and the meaning behind it, while others say it gives them a "migraine." Some other people flat-out dislike it. Regardless of how you feel about it, you better get used to it, because it's here to stay! Press play on the Twitter announcement to see the logo in its full effect, and see what people had to say about it ahead.